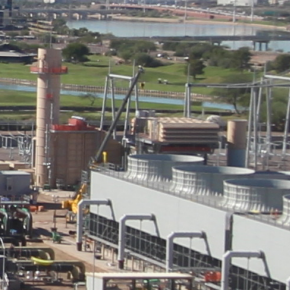 The Ocotillo Power Plant in Tempe has powered APS customers for nearly 60 years. The Ocotillo Modernization Project is creating a quieter, cleaner-running and more efficient plant. It will improve views of the plant, deliver environmental benefits and increase tax revenues for the Arizona economy.